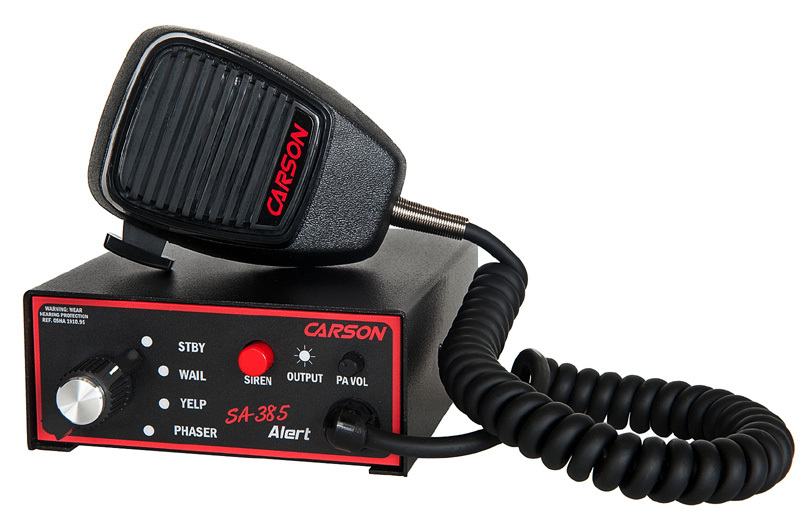 These compact, simplistic 100 watt sirens give you just what you need and more. 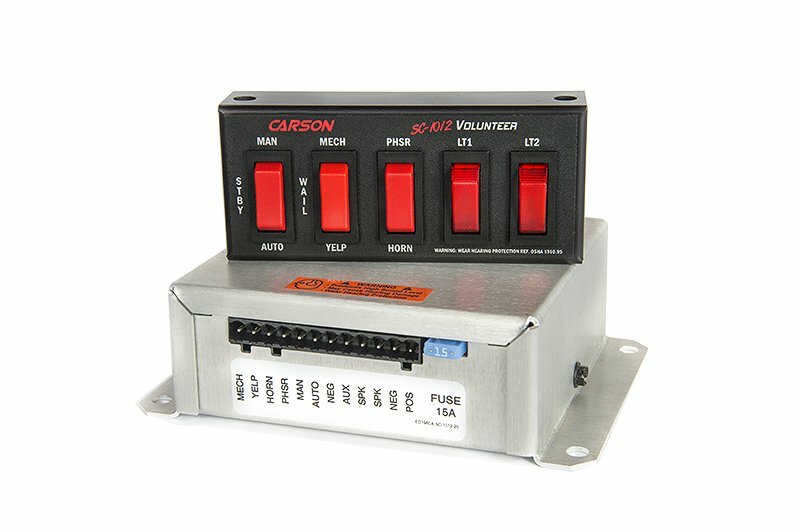 Built with the most desired features and functionality while sometimes eliminating those price inflating “bells and whistles” that are common on many sirens. Don’t let their size fool you; they can give you just what you need in a smaller package or with fewer options. 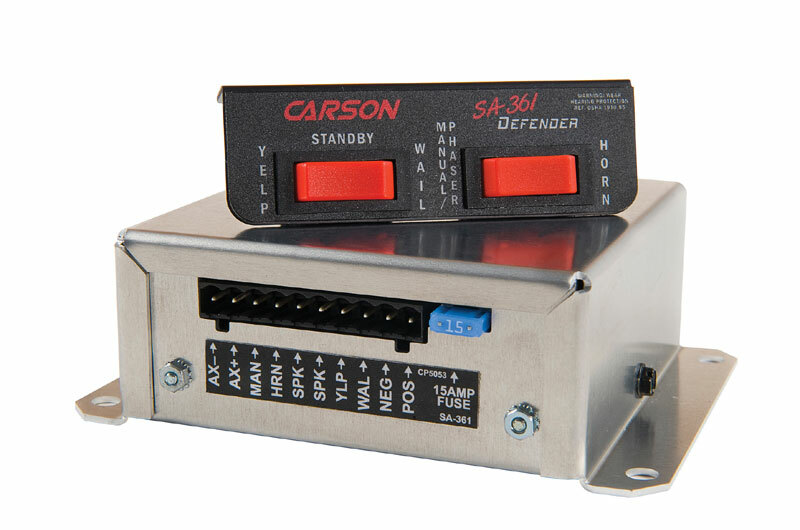 The SA-361 Defender remote siren has been redesigned with a new look and added functionality! The improved Defender combines the same simple operation, reliable performance and full-featured siren options as the original SA-361, but in a smaller, more compact amplifier. Size and user-friendly serviceability were the motivating factors in the redevelopment of this industry favorite. These key factors were achieved through the addition of terminal block wiring, which offers simple, plug-in connection to the amplifier; and the reduction of the internal electronics footprint resulting in a smaller amplifier with more versatile installation capabilities. Simplicity is the key to the SA-365 Defender. Simple to install, simple to operate and simple to afford! 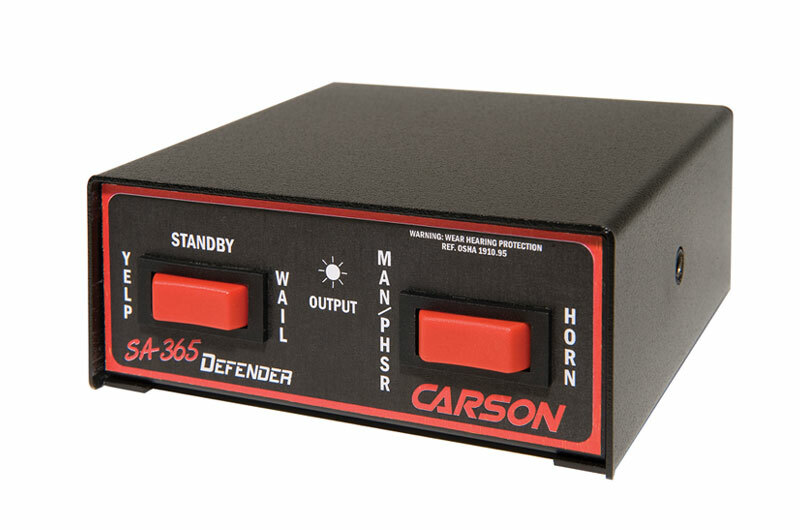 At first glance, you might notice that the SA-365 closely resembles the existing Carson SA-360 Defender. The SA-365 has, in fact, replaced the SA-360, but has not replaced the features and functionality that made it an industry leader, such as, three position rocker switches to select between a siren wail, yelp, and phaser, or optional Two-Tone/HiLo siren tones with Manual and Air Horn override. 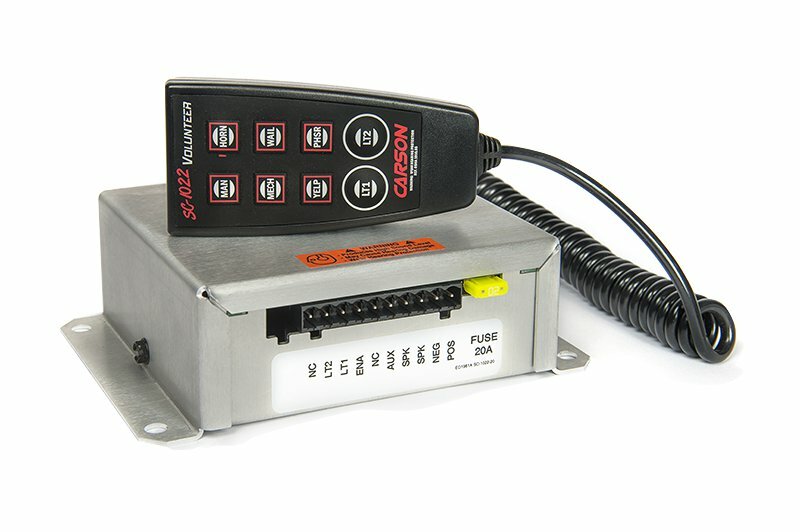 The siren also features Instant-On and Horn Ring Cycler 2 (HRC2) functionality that enables the driver hands-free control of the siren by cycling through the tones with the vehicle’s horn. The SA-385 Alert siren gives you just what you need, because you shouldn’t have to pay a premium for features you rarely use! That’s why the SA-385 has been engineered to offer only the most highly desired features and functionality, while eliminating those price inflating “bells and whistles” that are common on many sirens today.